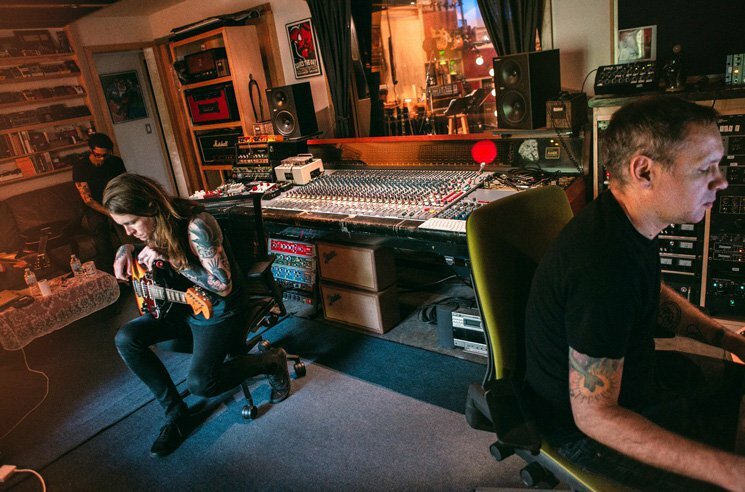 After sharing new song “Park Life Forever” earlier this year, Against Me!’s Laura Jane Grace has now announced a new full-length with new group Laura Jane Grace & the Devouring Mothers. I’ve been a longtime fan of Bloodshot and the artists they work with. Having spent the past year working on a record without knowing where its home was going to be, when I discovered that the Bloodshot offices were only a couple of blocks away from my apartment I went in and asked if they’d consider giving the songs a home. They were cool enough to hear me out and oblige. I couldn’t be more happy about the work we’re going to do together and sharing it with the world. #DXCLUSIVE: Lyrics Born, Del The Funky Homosapien & Forrest Day Ask "Is It Worth It"